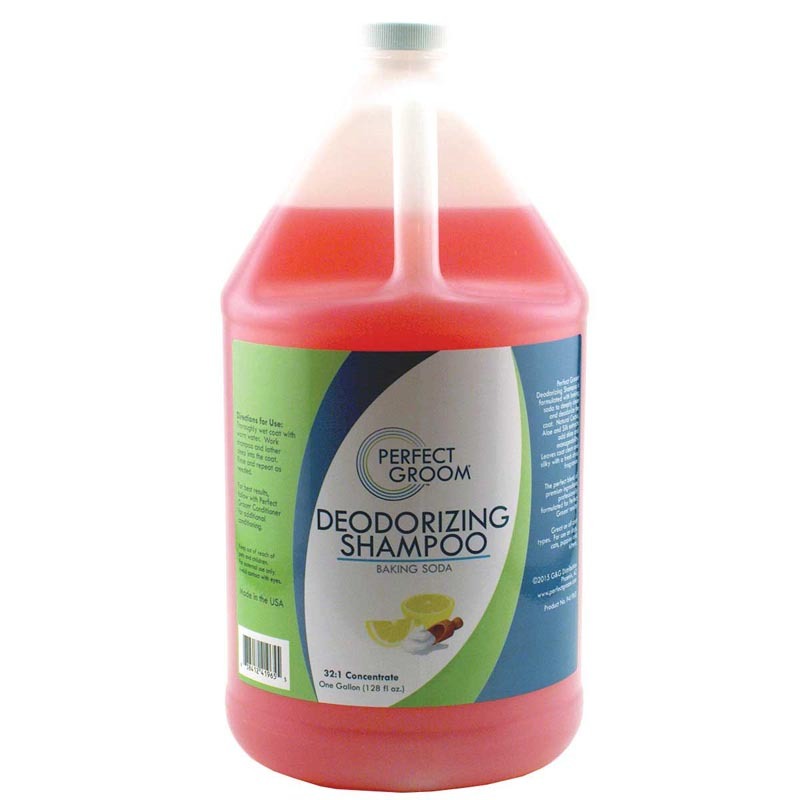 Deodorizing Shampoo is formulated with baking soda to deeply clean and deodorize the coat. Natural Cactus, Aloe and Silk extracts add shine and manageability. Leaves coat clean and silky with a fresh citrus fragrance. 32:1 Concentrate.